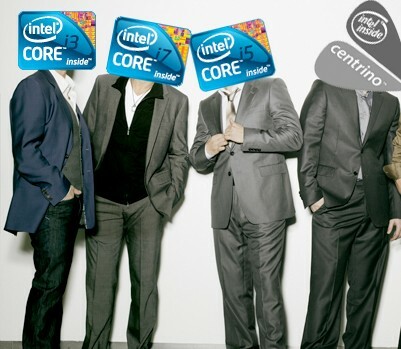 Intel’s doing some spring cleaning on its branding structure, adding new Cores on the block. Joining the high-level Core i7 series will be the mid range Core i5 in the coming months and the lower-end Core i3’s early next year. To be more specific, the Lynnfield chipsets will be either i5 or i7 depending on the feature set, Clarkfield mobile chips will be i7, and the 32nm Arrandale will at least at first fall under i3. Of course, with the new gang in town, some older monikers will be going wayside, and getting the slow fade out are Core 2 Duo, Core 2 Quad, and Centrino, the latter being eventually marginalized for WiMAX and WiFi products only. Making the cut are Celeron, Pentium, and the ever-resilient Atom names. We’re a bit sad to know there will never be a Core 2 Dodeca, but hey, it’s only a name, right?. Hit up the read link for more details, including a video interview with Intel’s VP of Marketing Deborah Conrad.